Looks like they're getting close to pouring the garage footings. Maybe today! And the retaining wall is beginning to take shape. And my neighbor and I were able to use the excavated dirt to build up our gardens. My neighbor's is especially low, and a large portion was unusable due to flooding when it rains. They just pulled the truck up and dumped it in the low spot. Should be good stuff too, original Loess Hills soil, not fill dirt. 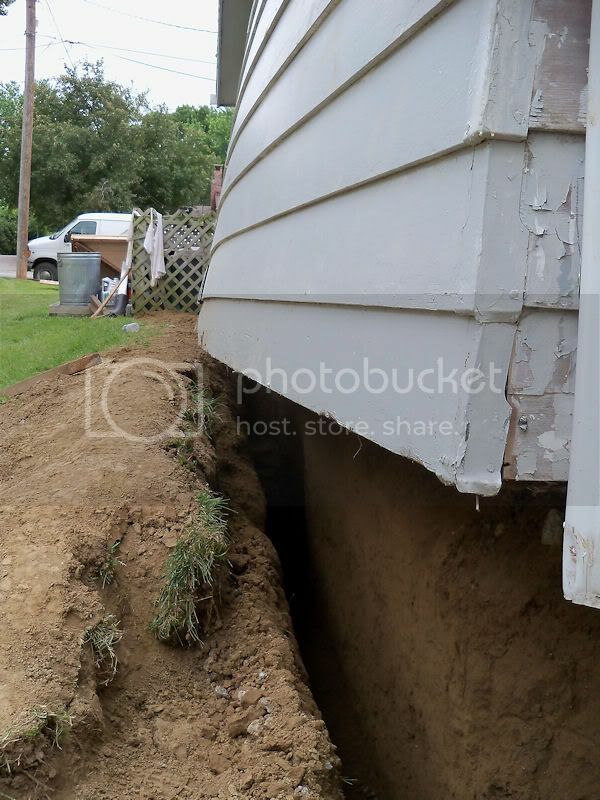 I hope you got the concrete poured for the garage footings. It will make such a difference once it's done. 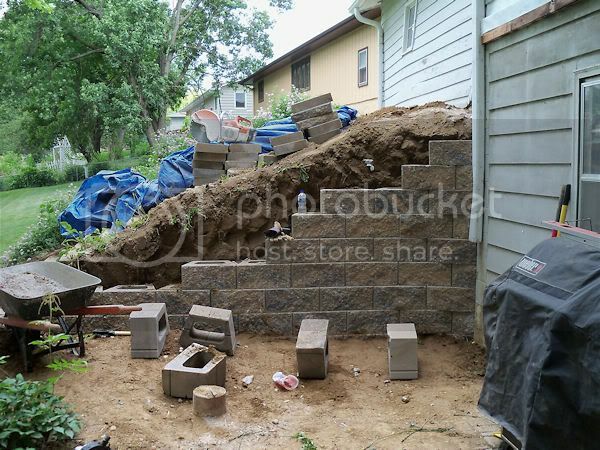 That retaining wall looks great compared to the one you had before.